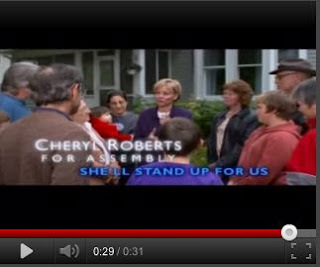 Cheryl Roberts' campaign has released a new TV ad. In it she points up the clear differences between herself and her opponent Steve McLaughlin. City of Hudson Republican Mayor William Hallenbeck Jr, and Democratic former Mayor Rick Scalera have endorsed Cheryl for Assembly.